In the childhood parents put you in music school, but Denis Matsuev's performance of you never came out, and on a failed career of a musician is only a tool in the corner, where once a month gently to wash the dust. And maybe the piano thirty years ago, it was bought for interior decoration" (it was a mod)... In such cases, the idea of selling the piano, which only takes place in the house – quite logical. But how to sell it? If you decided to get rid of a piano, you need to keep in mind what to sell it for an amount comparable to the value of the tool is likely to fail. If the Soviet Union piano, the domestic production cost was comparable with a furniture set, but now they rather sell at the price tables, and even give for nothing, "for pickup". The proposal significantly exceeds demand. The price you can ask depends on the quality of the tool and its condition. The most difficult is the case with a piano of mass production, made in the USSR. If you have a "Red October", "Elegy" or "Belarus" - lucky for you, these pianos are considered the best of the Soviet and they do have a very good chance to be sold for 3-5 thousand rubles, and even more expensive. Imported instruments are valued several times higher, you can sell it for 10 000 – 30 000 rubles. The value of antique piano strongly influences their safety and the degree of "rarity" to determine their potential value makes sense to hire a specialist appraiser. The price to the buyer is derived from the price requested by the seller, and the money will have to pay for transportation and carrying of the tool. Moreover, transportation costs in this case can far exceed the cost of the piano. Therefore, the search for a potential buyer it is better to start in your own home, Rackley ads on the hallways (don't forget to include "place of deployment" tool, since the absence of transportation costs - your competitive advantage). When looking to purchase a piano among neighbors was not – cover their advertising neighborhood. If there's a music school (or even just school) – do not leave it unattended, here the density of your "potential buyers" is much higher. In the announcement, indicate the brand of instrument, year, condition and color (for many this is important). And, of course, the price. If we are talking about a Soviet or a good import tool that really makes sense to drive to the other end of town will place an ad in the town Newspapers such as "hand in hand", as well as on the forums - as a city-wide boards and thematic music. If the city has a music College or Conservatoire – way ' dormitories musicians and not too lazy to put up ads there. Affordable quality piano can be a very popular mladsheklassnikov who came to study from other cities. If your ad will appear on the doors of the hostel at the beginning of the school year – the chances of selling the piano is quite high. 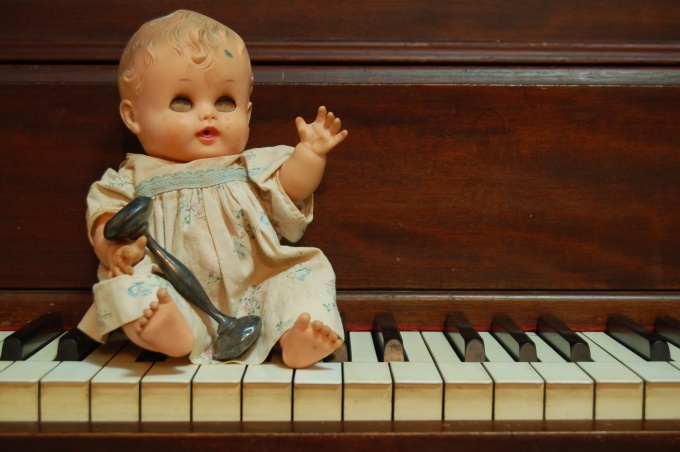 If your piano is in poor condition, and find a buyer you don't succeed, try selling it "for parts" (they always need the Adjusters and repairer of musical instruments). Find out if your city thrift store specializing in the sale of musical instruments (they are few but they exist). If there is, call and find out if they are willing to take your instrument, and if so at what price. This method of sale may not be the best and not the fastest, but will save you from the masses of extra hassle.